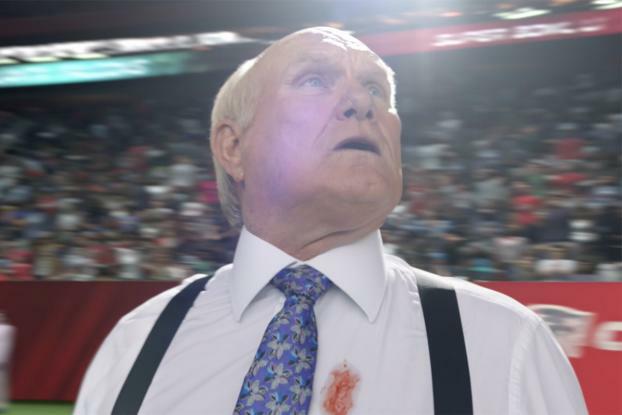 When Terry Bradshaw showed up with a shirt stain on what appeared to be live TV from the Fox broadcast booth at the Super Bowl, it marked the first time an advertiser had tried an integration so complex on so large a stage. His spill was, in fact, an elaborate pretaped stunt that teed up a commercial to be followed up late in the game with another commercial. Making the opening bit appear seamless was a long, highly complicated and often tense process for Procter & Gamble, its agency Saatchi & Saatchi and the directors at Traktor. 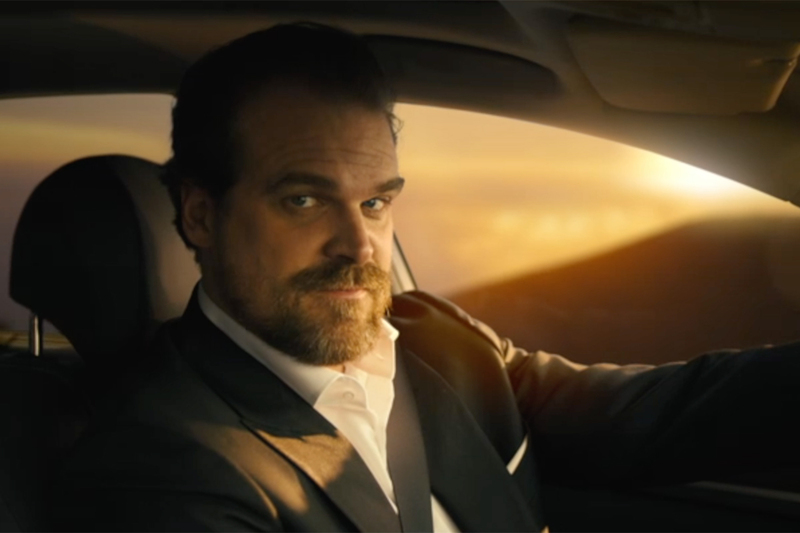 "Tide's been in the Super Bowl a few times with some pretty great success, and so, if we're going to be in the game, we're going to do something pretty epic," said Paul Bichler, executive creative director at Saatchi & Saatchi. One key task was for Tide to top itself. Its prior Tide Super Bowl ads were viewer favorites and award winners: 2008's "Talking Stain" featured a yammering blotch ruining a job interview, and the 2013 "Miracle Stain" summoned acolytes to worship a blemish that looked eerily like Joe Montana. Brand managers also wanted to bring an element of newness and surprise to a product that is 70 years old and already in almost half of the laundry rooms in the U.S. And failure would be costly, because the effort supported the introduction of Tide with Downy Pods, the brand's biggest launch of the year. We saw dozens of rounds of scripts, and we are comfortable not launching a Super Bowl ad if it doesn't meet that high bar," said Amy Krehbiel, P&G associate brand director. "We saw three rounds with lots and lots of boards that were very good. They just weren't a Super Bowl ad." Then came the big idea to have "Fox NFL Sunday" host Mr. Bradshaw get caught in the broadcast booth with a spill on his shirt and clean it with Tide. "This one rose to the top because it had something that had never been done before, with Terry interrupting the middle of the game with a stain," Ms. Krehbiel said. "It was unbelievably funny; every time we watched it, we had people in the room laugh out loud and it was all about that insight that everyone feels -- the anxiety of a stain and how, in the end, Tide was what you trust to get it out." The key was securing the right time in the game for the setup with the spill, a commercial in which the soiled shirt was laundered and a closing kicker late in the game. And, of course, Mr. Bradshaw had to sign on. P&G declined to discuss specifics of its negotiations, but said NFL sponsorship helped get access to some league assets. Mr. Bradshaw was game. "It's going to have well in excess of 100 million [viewers] and more than probably a billion people worldwide when it's finally spread out in all the countries," Mr. Bradshaw said. "And advertisers, man, that's a lot of eyeballs." He also said it seemed logical for him to be the guy with the stain. 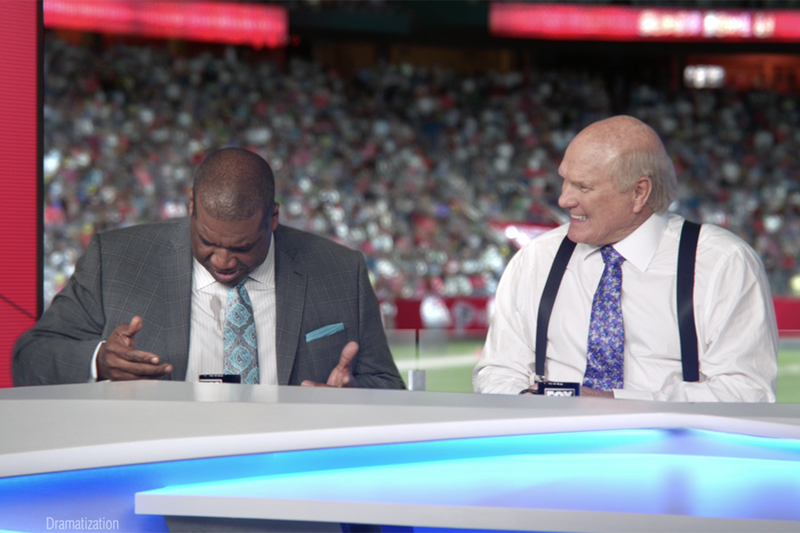 "Who better than Curt Menefee and Terry Bradshaw," he said, "because I'm the co-host, he's the host and I'm kind of, you know, the guy that kind of gets in lots of trouble." P&G could not prerelease its commercial, which is otherwise standard operating procedure for most Super Bowl advertisers today, because it could spoil the social media blaze executives hoped to ignite. The directing collective Traktor had another snafu. "Since we're Swedish, we really don't know much about football," said team member Sam Larsson. He and partner Patrik von Krusenstjerna had to look up who Terry Bradshaw was. The bigger challenge was convincing the audience that something unusual was happening. "To make the viewer actually believe this is happening for real, at least five or 10 seconds into the spot you have to have everyone actually stop and look at it and think, 'There's a screwup. Fox is actually doing some screwup,'" said Mr. Larsson. To protect that illusion, "every detail had to be absolutely perfect," said Mr. Bichler. "This was going to be a massive team effort, both in the agency and the brand to do this. And that team had to grow a lot to include Fox and the NFL because they're both properties that are playing a role in this. We had to be able to simulate details immediately that really weren't even figured out yet, so we had to tackle that undertaking. And then present it on this immense, massive stage." Adding to the pressure was the absolute necessity to make the beginning indistinguishable from the real game booth. "When it's a Super Bowl spot, you know that everyone will not only look at it, they will actually dissect it," said Mr. von Krusenstjerna. The first part, filming Mr. Bradshaw and Jeffrey Tambor in a house in Altadena, Calif., went smoothly. But that kicked off a seven-day marathon shoot with deadlines increasingly bearing down. To preserve authenticity for the stain spot, P&G had to wait to see which four teams would make the playoffs so that the jerseys in the shot were correct. Actual filming began about three weeks prior to the Super Bowl. "That doesn't leave us a lot of time for some of the effects and some of the posts we are going to be able to do," said Mr. Bichler. And there were other hurdles. Because the actual game is played after dark, the scenes showing Mr. Bradshaw outside the stadium seeking to wash his shirt had to be filmed at night. "It's important that we can match the lighting of the Super Bowl," said Ms. Krehbiel. And above all, the set had to be credible. To make it so, the production team erected an enormous and painstakingly accurate replica of the Fox Sports broadcast booth on the football field at El Camino College in Torrance, Calif., and finally got ready to film with Mr. Bradshaw. And then came the rain. The set soaked, the team raced to break it down and reconstruct it inside a garage in the stadium. "We've had rain on shoots before, but on other shoots we had more flexibility," said Ms. Krehbiel. "We'd been able to move it to another day. But in this one, we've got the talent, we've got the puzzle, so everyone had to get creative. We had to move inside and use a green screen." The shot completed and the editing finally done, the team now had one job -- to wait. "We hope the internet goes crazy," said Ms. Krehbiel in an interview before the game. And while, of course, the goal is to sell Tide, the plan was to entertain and amaze. "We hope it's something that takes people on a journey for a long period of time," she said, "and afterwards they look back and say, 'How did they do that?" 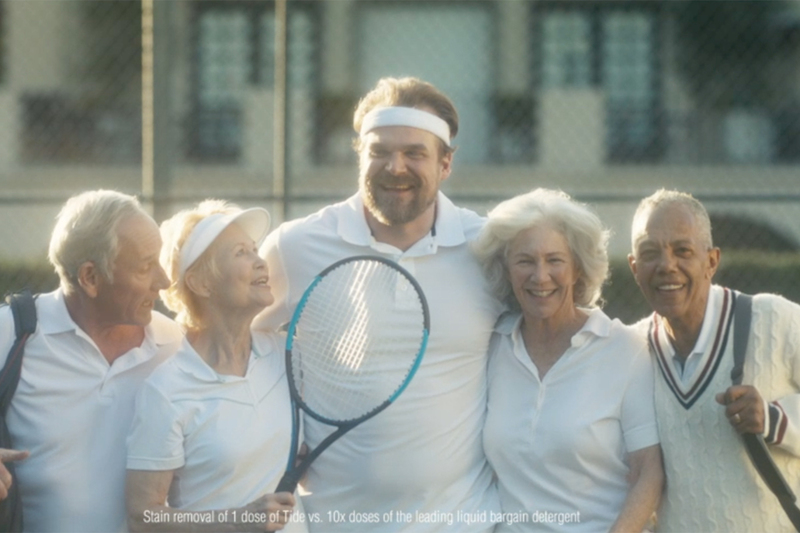 See more about how Tide pulled it off on "Anatomy of an Ad."